Mao Tse Tung was a military hero in the Chinese Revolutionary War in the 1930s. He then became a leader in the new Communist government of China, which he declared himself in Tiananmen Square in 1949. This photograph soon became more than just an official portrait of the Communist Party’s new leader. In his lifetime, images of Mao were everywhere in the new People’s Republic of China. 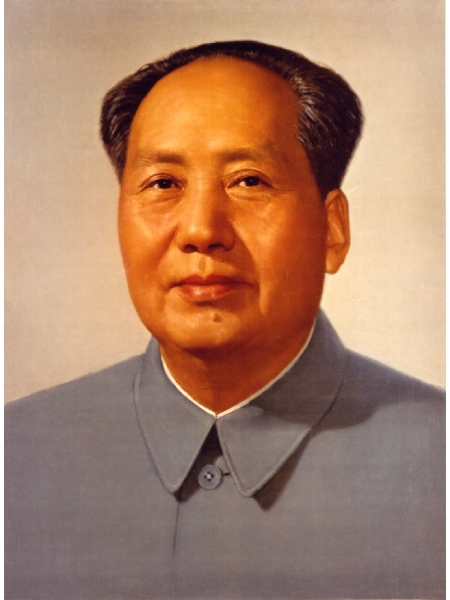 Every home had a picture of Mao. People knelt before the portrait to pray on holidays and every morning. His picture was believed to cure the sick and to bless a newly married couple. Mao Tse Tung © UPI/Bettmann. Accessed 25 August 2010. The Power of Photography: How Photographs Changed Our Lives. Vicki Goldberg. New York: Abbeville Press, 1991.